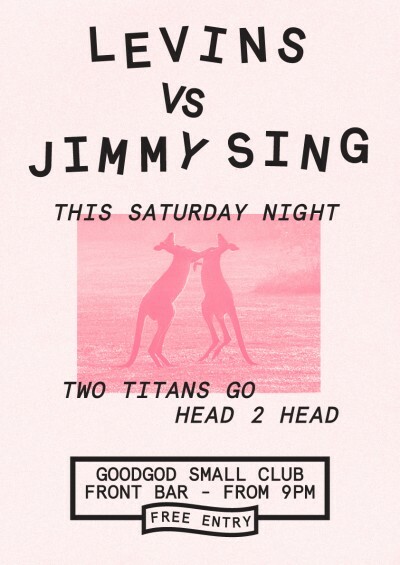 A Hai-Life clash of the titans is upon us this Saturday night with Goodgod all-stars Levins & Jimmy Sing going head to head in an all night affair. Two legends that need no introduction, founding fathers of Goodgod and The Dip as well as Ro Sham Bo, and purveyors of amazing and forward thinking music from all corners of the globe. This is a Front Bar session you don’t wanna miss. Expect to not only get merry but throw some serious shapes to everything from disco and boogie jams, deep afro heaters, R&B and soul through to solid doses of dancehall and rap. Come one come all, it’s free from 9pm till late!